An honest and comprehensive Garrett ACE 400i review & buyers guide. 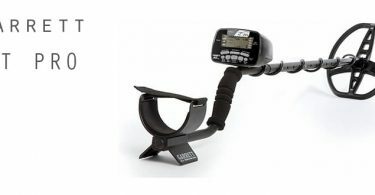 With Garrett Ace models being on the shelves for years now, finally, Garrett has created a new line of the ACE series metal detectors. So how do they shape up? The Garrett Ace 400i metal detector is the top spec model of the new ace line, also available are the Garrett ace 200i and the 300i. Garrett has opted to stick with the original ACE theme in terms of design and colour, keeping the detector yellow and black. Just to clear this up before we begin the Garrett Ace 400i Metal Detector and the Garrett ACE 400 is the same metal detector. The I on the end of the model number stands for “international” which means the decals on the 400i are aimed at the UK and European market. The 400 is for the US market as it displays US denominations. Upon opening the box the simplicity of the Garrett Ace machines is still there, with only 3 pieces to combine it won’t take you long to assemble and out the door hunting. The control box, the stem and the coil and wire are all very easily assembled together. They have kept the Garrett Ace 400i comfortable to use with the soft padding around the forearm rest and hand grip and still features the velcro strap to secure to your arm. You may need it more with this detector as it’s not as light as it’s predecessors, still not too heavy though, you’ll still feel comfortable swinging all day long. For those of you with limited mobility, you should consider a metal detecting harness. The design of the Garrett Ace 400i allows you too easily navigate the control panel with your thumb keeping the buttons within easy reach. Buttons are clearly labelled and very simple to navigate, with a large LCD display that allows you to see all of the options you have selected and detailed information on any targets you may discover. Probably a little too heavy for small children, the Garrett 400i is still great for beginner adults or even experienced detectorists who want the more advanced and experienced features. For the price, Garrett has managed to give you some features that can only be found on detectors twice it’s price. The Garrett Ace 400 has 5 modes as follows: Zero Discrimination (same as all metal) Jewellery, Custom, Relic and Coins. It also has only 6 buttons these are Power/Iron Audio, Mode, Sensitivity, Frequency Adjustment, Discrimination and Pinpoint mode. The control panel is very easy to navigate and you’ll have this metal detector mastered in a couple of outings. I love the simplicity of the machines, the menus and settings are very well organised. The LCD display has a few new features in comparison to the discontinued previous ACE line. There’s a Battery level indicator, sensitivity indicator, discrimination notches, coin depth meter and a target identification number. The custom search mode on the Garrett Ace 400i can be used to customise your search, notching out different discrimination patterns while accepting or rejecting targets and then can be saved for later use. This allows you to completely customise your search for the land you are hunting on. Perfect for when you are in trashy areas. The power on button also can be used to turn on the brand new iron audio feature which will allow you to hear the iron you discriminate. This can be very handy when a good target is buried close to iron. It will help you separate the two and stop you from missing out on good targets that are masked by iron. It’s very clear and as metal detectors have advanced this “iron audio” feature is one that has been welcomed. The pinpoint mode is included, if you don’t know what this is then it is a feature used for pinpointing the exact location of a target in a hole. It’s very straightforward, once you have found a target while swinging your detector you simply hit this pinpoint button and cross over back and forth with it selected, the detector will then zone in on your target. While keeping the old features of the Garrett ACE detectors, they have added some handy new features making this metal detector a great choice and giving it even more value for money. The new iron audio and target ID numbers, in my opinion really make the Garrett ACE 400i more powerful and effective than it’s predecessors. Target ID numbers allow you to better understand what is located in the ground with a range of 0 – 99. You will soon get used to these numbers and be able to better determine what you are about to dig. Theres a lot of literature on the internet which will allow you to figure out which numbers are generally good targets to dig. The Frequency of the machine can now also be adjusted to 10khz, allowing a better signal to be produced on items with lower conductivity like gold. Being able to change the frequency can also help when there is a lot of interference nearby. Like with all metal detectors the depth capabilities highly depend on the conditions you are detecting in. Often or not when there has been a heavy rainfall this will increase the depth capabilities of the metal detector allowing you to hit deeper targets. The decal display shows 20+ cm, however on a good day in the right conditions expect the Garrett Ace 400i depth capability to exceed this. As a mid range metal detector the depth capabilties are superb. As always Garrett has done their job. 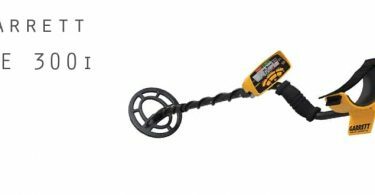 They have created a reliable, sturdy and simple to use metal detector with some very good features. I’ve played around and tested the Garrett Ace 400i, I didn’t get to use it for long but I managed to find a Victorian sixpence at about 7.5 inches. Which shows it hits silver and small silver at that. I’ve used the EuroAce so I already knew my way around the machine, however, even as someone just starting out you’re gonna find it very simple to pick up. With it’s added features the detector seems to be more powerful and productive, more up to date for 2018 technology. It’s a little heavier than the older machines I believe but still a lightweight detector that feels comfortable and sturdy. Value for money is fantastic you are getting a lot of bang for your buck and features that you would only find on the more expensive metal detectors. Garrett is a Brand you can trust and there’s a huge support network of other Garrett ACE owners to help you should you need it. Great machine at a great price. Perfect for beginners or as a mid-range machine. You will not be disappointed. The Garrett Ace 400i also gives has an iron checker feature with the addition of iron audio. Performance wise I doubt there is a huge difference but for me, the numerical ID would sway me towards the 400i. These settings are in my own opinion, please feel free to leave your best settings for the Garrett Ace 400i in the comments. I found the relic mode to be the most productive with sensitivity set to maximum. If your Garrett Ace 400i starts to chatter with the sensitivity set so high simply notch it down until it becomes stable. 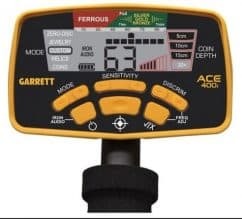 Again with Garrett, they have failed to produce an ACE detector that is stable in the wet sand, lots of reports in testing that the 400i isn’t the best beach metal detector, this doesn’t mean however that you can’t go beach detecting. Just try to stay in the dry sand to avoid the false signals. Notch the sensitivity down until the 400i is stable put her in jewellery mode and away you go. How does the Garrett 400i perform in heavily mineralized soils? Is it better in these conditions than the \fisher F44 or F5?